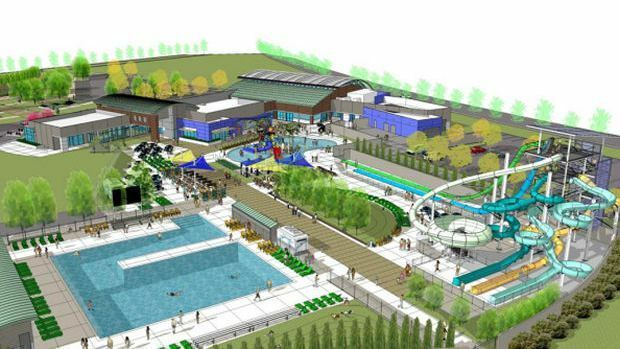 With the onset of Spring Columbus own Seventh Son has decided to scrap plans for it production brewery expansion in favor of a bar themed water park. No longer will Cincinnati's Kings island have the only game in town. "Sure we love making craft beer but as everyone knows the market in Ohio is tightening and with people offering beer hotels, showers, hot tubs etc we felt like we needed to do something to step up our game- the waterpark was a natural fit" says operations manager Collin Castore. To help fund the venture Seventh Son will be offering commemorative floaties that double as beer koozies along with weekend "diving for bottle cap" adventure packages and shares in the guppie, minnow, trout, and megalodon fan groups which will offer early park access and happy hour specials daily. "For years people in the industry have been asking what is the next IPA- turns out the answer is Aquatics" says Castore. Currently beach towels are being offered on seventhsonbrewing.com towards the cause with more to come in the following weeks.